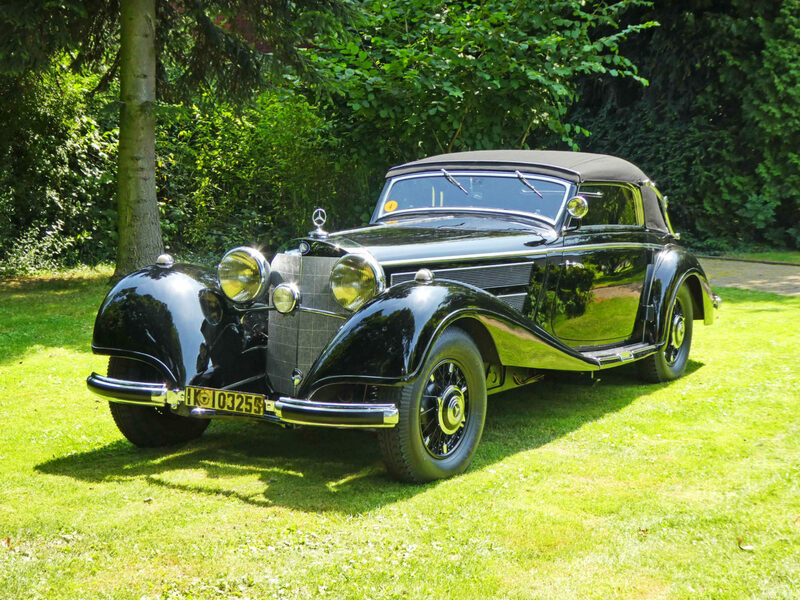 The Mercedes-Benz 540 K was arguably the most important car offered by the brand during the 1930s, since its predecessor, the 500 K. A development of that very car, the 540 K was powered by an engine that lay at the root of its designated number – a 5.4-litre supercharged straight-eight. Developed as flagship of the Mercedes-Benz range, it featured a Roots-type supercharger which was engaged when the accelerator pedal was pushed to the very end of its travel. A thoroughly proven system, but in effect the 540 K was the last supercharged production Mercedes until much more recently. First shown at the Paris Motor Show in 1936, the 540 K was billed as offering impeccable performance, comfort and style. It was built with fine paintwork, brightly polished metal and the finest hardwoods and leather. The engine produced 115PS without the supercharger and 180PS with it activated, allowing for a top speed approaching 110mph.